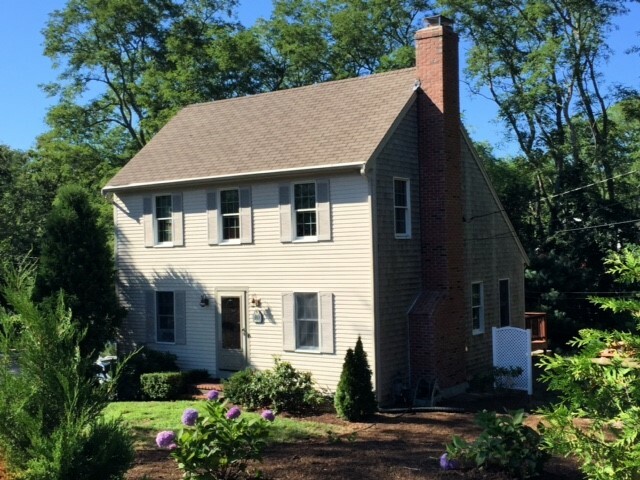 Eastham - New Listing - A pristine 3 bedroom open saltbox that has a granite counters, new stainless steel appliances, first floor bedroom, living room w/fireplace, gas heat, garage under, outdoor shower, nice landscaping, and a great deck. Close to Seashore, bike path, Great Pond Beach, and Windmill Green. Sold turn-key, fully furnished. Great rental. Listed at $439,000. 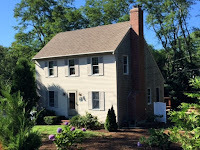 For more photos, a map, and a Virtual Tour, go to http://10SplitRailRd.robertsheldon.com. Great house! Eastham - New Listing - This is a brand new (2015) approx 1500 sqft contemporary Cape-style house, just a half mile from Great Pond beach near the end of a quiet cul-de-sac. This 2 bedroom, 2.5 bath home has hardwood floors, granite counters, first floor laundry and master bedroom, gas fireplace, central air, propane heat, on-demand hot water, full basement, rear Trex-like deck, and an outdoor shower. Additionally, the living room has a vaulted ceiling and you'll have a second floor loft area. This is an exceptional home with quality features and exceptional trim-work. 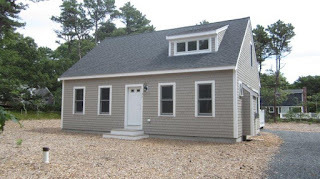 Built for minimal maintenance (double-dipped shingles, Azek trim, etc). Fully complete and ready to move in. Listed at $459,000. Go to http://25ChipmunkLane.robertsheldon.com for more photos, a map, and a Virtual Tour. My September 2015 market report is available now! This issue has Part 2 of my mid-year 2015 market report, 2016 Eastham tax assessment information, an article about rowing the Atlantic and a new listing. Worth reading! 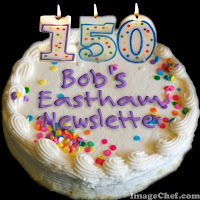 This newsletter has been published every month for over 12 years. My aim, with this newsletter, is to provide accurate sales and market information about the Eastham housing marketplace, to add commentary and opinion (as appropriate), and to keep it interesting. Download your copy of my September newsletter now. 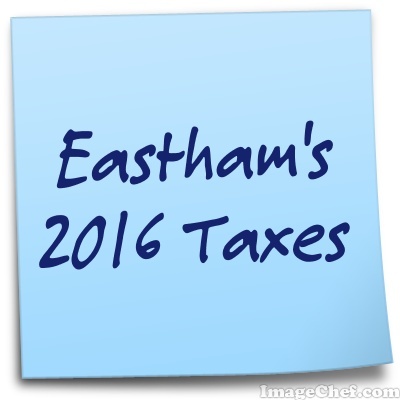 The 2016 real estate tax rate for Eastham will be $7.44/thousand (up 4.8%). The tax on the median-valued home will be $2,925. 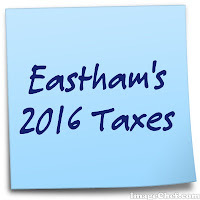 The 2016 assessments for individual homes should be available soon on the Town of Eastham website...Here. The newspaper formatted version of the assessments will no longer be available. The Town of Eastham has implemented the CodeRED system, a high-speed emergency notification service provided by Ormond Beach, FL-based Emergency Communications Network. The CodeRED system will serve as the backbone of the Town's emergency planning and communications outreach to both citizens and Town of Eastham personnel by using the system capabilities to send telephone calls, text messages, emails and social media in an effort to inform residents to protect life and property. Hopefully, this system will keep us informed about road closures during the water system installation. The Town also plans to use CodeRED to inform residents in specific geographic locations of fires, floods, drinking water emergencies and missing children notices. To learn more about this new service go to an article fromCapeCod.com ... Here. To get the alerts and take advantage of this new service, you must enroll. Go Here to enroll. The 9 July sales totaled approximately $4.3M - the average home sale price was $482K. The median sale price in July was $469K. 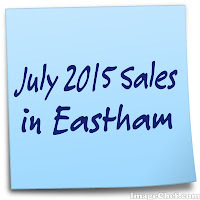 There are currently 96 active single family listings in Eastham (down 6 from a month ago), with an average list price of $610K and a medium list price of $472K. The average days-on-market remains at 201 days. Of note - my next newsletter will have 'Part 2' of my 1st half 2015 market results. 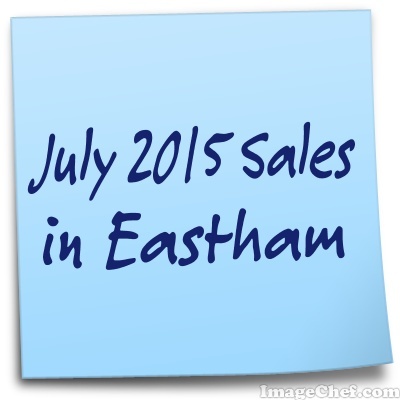 Part 2 will compare Eastham with its neighboring towns.